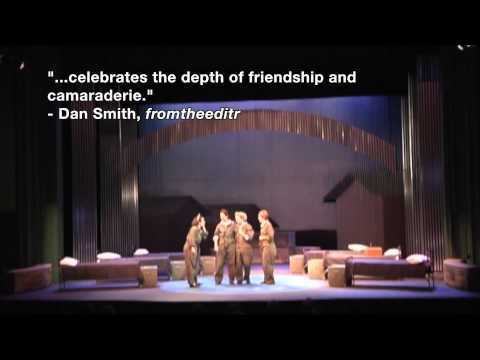 From the winner of the 2013 Kennedy Center American College Theatre Festival, comes a story about friendship and the complex though essential role of women in wartime. Virginia Hascall has left her home and fiancee to become a Women Airforce Service Pilot, and do her part to help defeat the Axis powers in the Second World War. Through triumph and tragedy, she and her sisters in flight suits learn as much about themselves as they do about airplanes. As the war rages over there, the women form a sisterhood that cannot be broken, and Virginia must make a decision that will change her life forever. With a cast of nine vibrant female characters, Decision Height offers a look into an underrecognized subset of American heros and revises history into herstory. Hollins Theatre, Mill Mt. Theatre Present "Decision Height"
November 1943 through May 1944, at Avenger Field in Sweetwater, Texas. VIRGINIA HASCALL - early 20's. The empathetic observer. EDITH "EDDIE" HARKNELL - mid 20's. The blunt and quick witted "hot pilot." NORMA JEAN HARRIS - late 20's. The confident teacher. ROSALIE HARTSON - late teens/early 20's. The brave dreamer. ALICE HAWKINS - late 20's. The cool intellect. CAROL HENDERSON - late teens/early 20's. The brazen and earnest runt of the litter. MRS. DEATON - late 30's/early 40's. The government-employed den mother. ZIGGIE LEWIS - early to mid 40's. A rare woman indeed. MILDRED SIMMONS - late 20's. A woman of few loyalties. Decision Height was produced by Hollins University and the Hollins Playwright's Lab and premièred on the Mill Mountain Theatre's Trinkle Stage in Roanoke, VA. The production ran from January 24 - 26, 2014. Ernest Zulia directed.